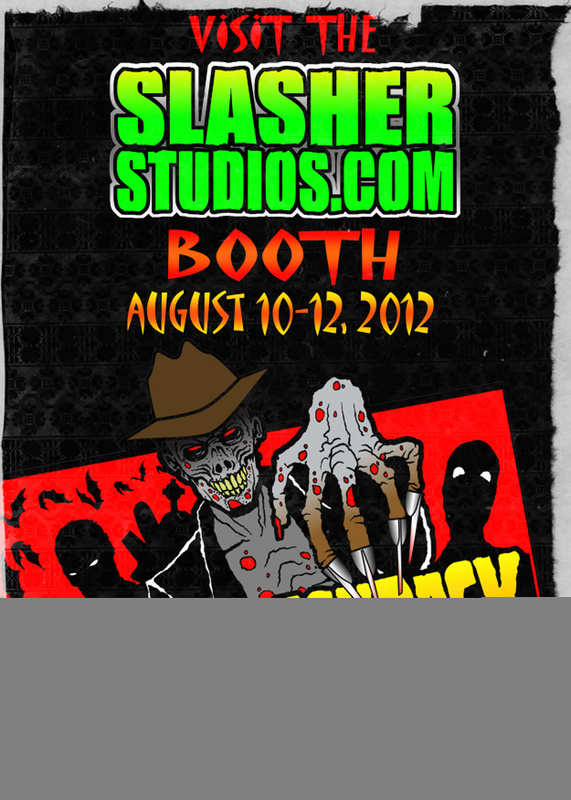 This is my second time working with Slasher Studios and it really has been such an honor. My good friend, (the other) Hannah, actually had to talk me into auditioning for both Popularity Killer and Blood Brothers, and I could not be more happy that I gave in. The cast and crew were both wonderful to work with and extremely talented. I had more fun than I could ever have imagined. The director, director of photography and the producer were a pleasure to work with and I would happily work with all of them again in a heartbeat. I could not have asked for a better experience and I look forward to hopefully having even better ones with Slasher Studios in the future. Thanks to everyone who worked on this film, without even one of you, this filming wouldn’t have gone as well as it did. Let’s do it again sometime? 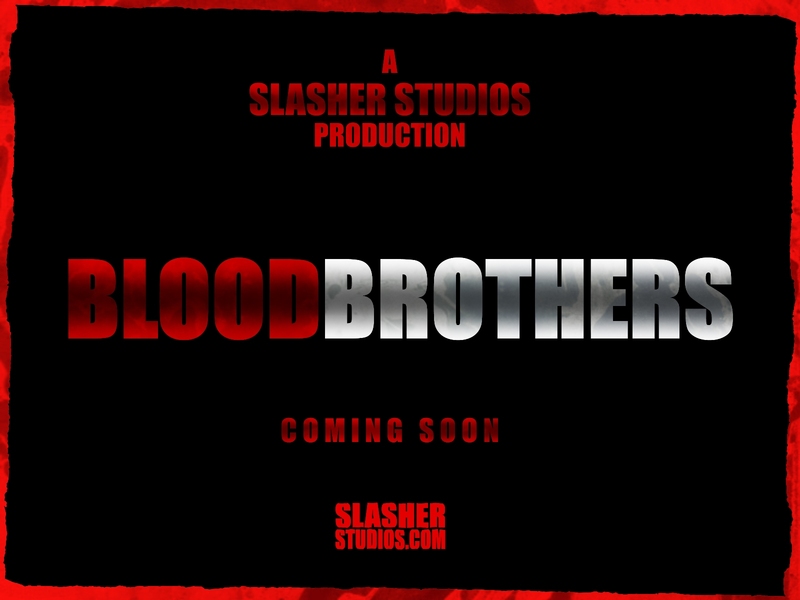 This past weekend, I had the privilege to be involved in Slasher Studios’ latest short film, Blood Brothers, and I’m so glad I did because it was the best time I’ve had in a long time! 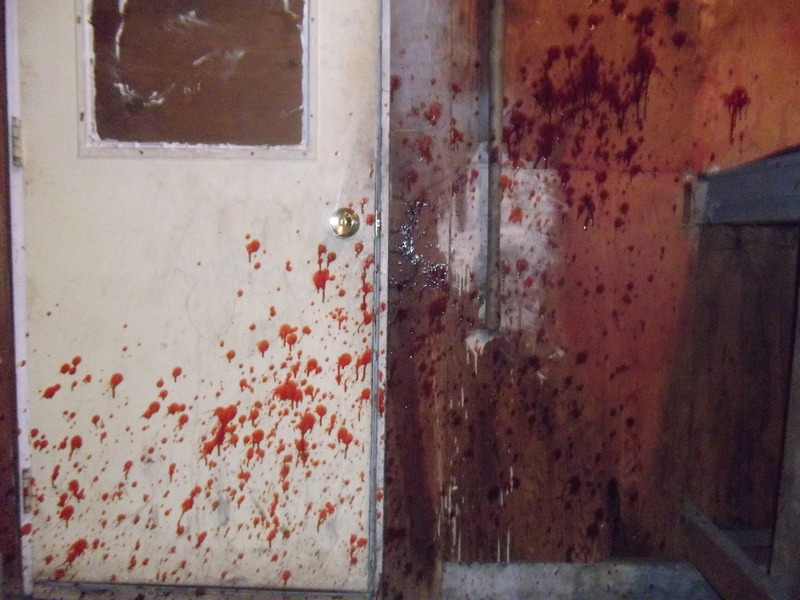 Everything about the work Slasher Studios does reminds me why I love horror and acting in the first place. Getting to work with and learn from such talented people is such an honor. Kevin is one of the most creative, and passionate people I’ve ever met, and it definitely shows in his scripts and all the other work he does and Steve is a genius when it comes to directing! Those two are no lie the best filmmakers I’ve ever worked with. They are so professional, and they are great at giving feedback and listening to the actors’ ideas and concerns to make sure everything goes well, and everything certainly seemed like it went well! Dan also is brilliant behind the camera and great at deciding unique ways to shoot scenes that just look amazing. Then, there were the other actors! It was almost a little intimidating to work with such a talented group, but well worth it because I feel like I’ve learned a lot just by watching them. Hannah Jaye of course is always a joy to be around and has great ideas about her character. Matty is also a blast and such a unique person, some of his choices were something I would have never imagined from the script, but when I see it done, can’t imagine it any other way. And Mike, well, in my last scene, he really terrified me which is an amazing compliment coming from me; he is always so convincing! And of course there was the amazing Kyle, makeup and sound guy extraordinaire! I’m so glad to have gotten to see each and every one of these people, and I would not be surprised if they all ended up in Hollywood one day working on the next big horror flick. As for the shoot itself, I feel so blessed to have ever gotten involved with Slasher Studios. It was actually a random Google search that led me to the website, of which I became a fan and then learned of auditions for their second short, Popularity Killer which I was lucky enough to get to play Courtney in. That felt like such a once in a life time experience that when I heard about Blood Brothers auditions, I thought no way would I be that lucky again. But I was, they chose me to play Rachel, and I am so grateful! At first I was so nervous, because I was very late (as usual) on the first day of shooting, but it all turned out ok, and the second day, we knocked it out of the park! My favorite thing about working on their projects is how much fun we all have. I instantly felt like part of the group, which is rare for me. Nothing ever felt like it was too serious, meaning that we could laugh and joke around between takes and have a great time, and when it came time to get stuff done, we all got down to business. It was a great balance between work and play which is something you don’t find very often. I also always feel like I step up my game each time I get to act for these people; the amazing characters make it very easy! I especially like playing Rachel because she’s so different from me, and there was also a lot that wasn’t in the script so I got to play around with it and really make it my own. I can only hope that it came across on camera! 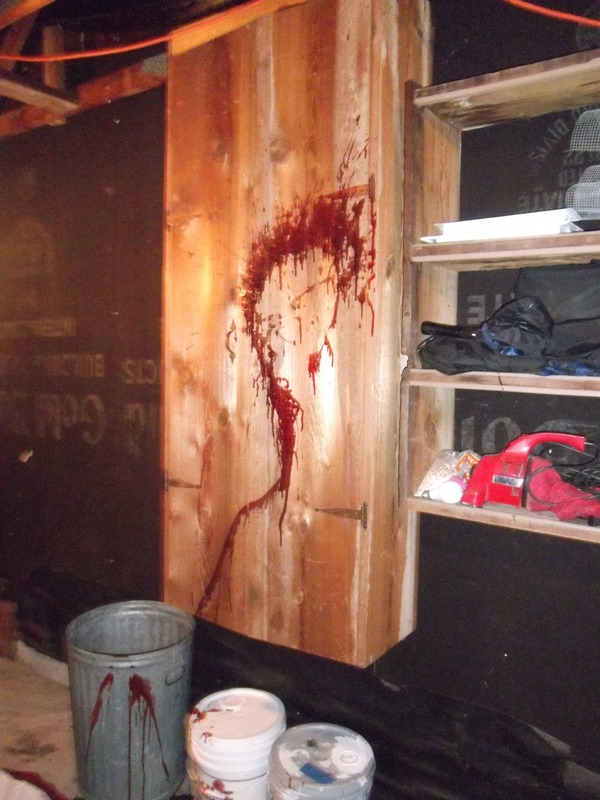 And of course, I can’t mention a Slasher Studios production without bringing up the gore. Popularity Killer was the first time I got to die on camera, and I was very nervous and felt that it showed. This time though, I got to step it up a notch. I love the really bloody scenes and although it was a bit awkward to have Steve duct tape tubes of blood to the back of my neck (not to mention the pressure of having to get it right in only one take), it really turned out to be a lot of fun! There are not many people who I would lie face down on the floor in a puddle of blood for, but for these guys, I would do it no question! Even getting blood in my eye (and up my nose and in my mouth… and everywhere else) was very worth it because I know it will be an awesome finished product! I would expect no less from these guys! Wow, this is getting a little long, but that just goes to show how much I truly love Slasher Studios, not only the work they do, but the people that do it. It was amazing to be involved on this project. Thanks so much for having me, and I really hope to continue to be involved in the future! 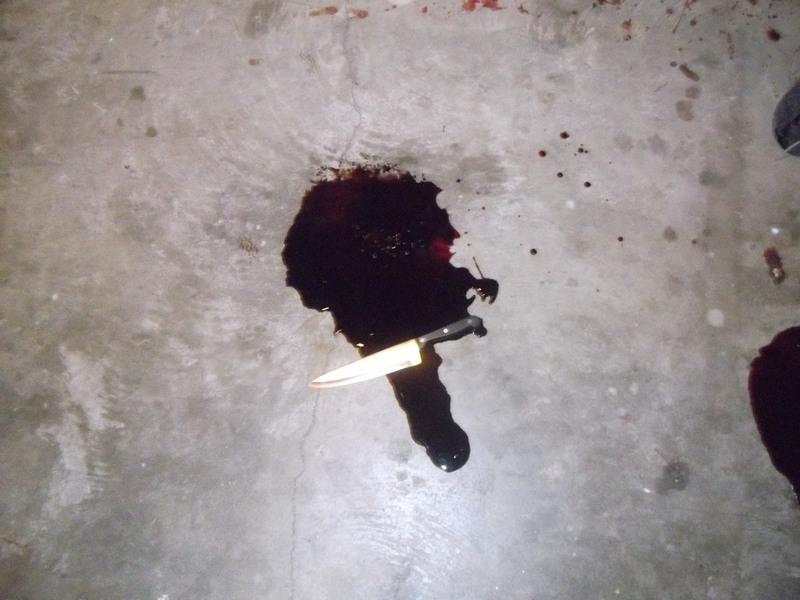 As many of you know, we just finished filming our latest short film BLOOD BROTHERS. BLOOD BROTHERS tells the tell of two brothers who are reunited after many years when a hostage situation goes terribly wrong. I will be completely honest with you horror fans and tell you that preproduction on the film was a mess. A huge mess. How big of a mess, you ask? Well, it went through 19 rewrites—no that is not an exaggeration–a loss of a major location, and a lack of behind the scenes support. One week before filming, we had no location, no sound person, and no one to do makeup. Going into the production, I was stressed. Being a producer, a lot rides on you. A production can only go smoothly if everything is put into place for the actors, director, and crew. I felt as though I had failed. Everything that I tried to plan out went crashing before my eyes. Ahh..the joys of working in independent film. 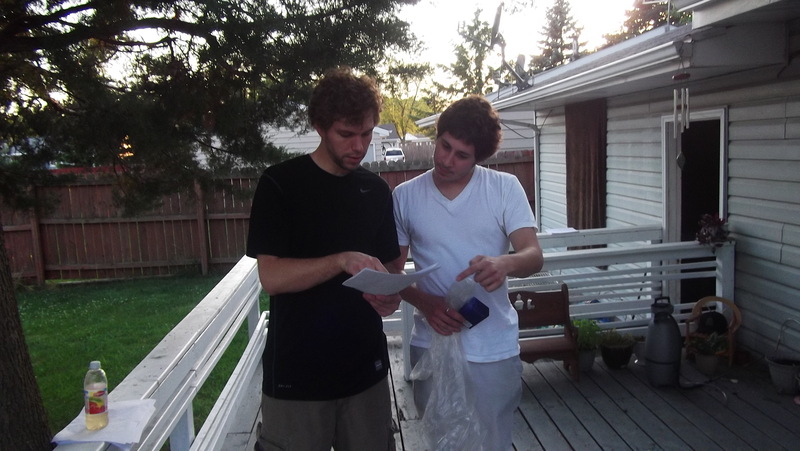 With a lot of work and a final rewrite done hours before the production was to be filmed, we were ready to go. Thanks to Kyle Conn, who graciously stepped in to do some excellent FX makeup and sound, we were ready behind the scenes. Steve Goltz and I watched and waited to see how everything would turn out and IF it would turn out at all. After three days of filming, I can safely say that it was by far and away the smoothest film set that I have ever been a part of. I’m not going to lie to you and say that we didn’t have any hiccups here for there. Let’s just say that filming in a garage in the middle of summer with film lights is not exactly the most “relaxing” set that I have ever been on but we powered through it. I have so many people to thank for making this film what I think it will be…our best short film to date. Daniel Delaye, we couldn’t have done it without you and your expertise as Director of Photography. You made the script come to life in ways that I never thought possible. A big thank you to Matty Dorschner and Mike Goltz for playing one wicked brother team. You guys were fearless and up for anything and the film is all the better for it. Another big thank you to Hannah Jaye and Hannah Herdt for playing Lindsay and Rachel. One sweet and innocent, the other doing anything to get another heroin fix. Both playing their respective roles perfectly. The last thank you that I want to give is to my producing partner Steve Goltz. Without you, this film could have NEVER have been made. Your last minute creative ideas regarding the gore effects is what will have audiences talking for weeks. Basically, this is a love letter to everyone who worked on this film. This film is as much yours as it is mine. It was an honor working with you all and thank you for making my script come to life.